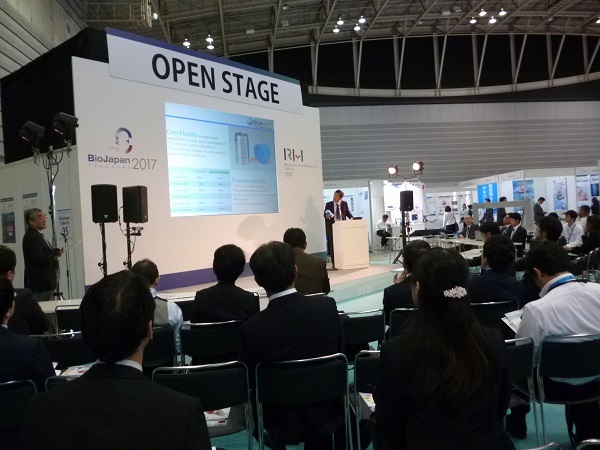 Regenerative Medicine JAPAN 2017 was held for three days from October 11 to 13, 2017 at Pacifico Yokohama. 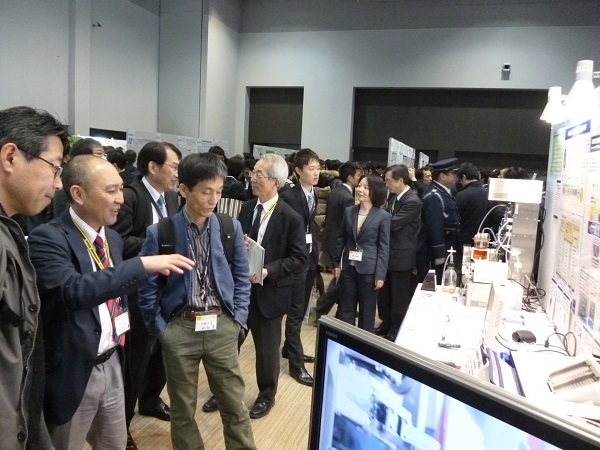 SCA exhibited main results of the project of Japan Agency for Medical Research and Development (AMED), and presented reviews and the results of the project at the open seminar. 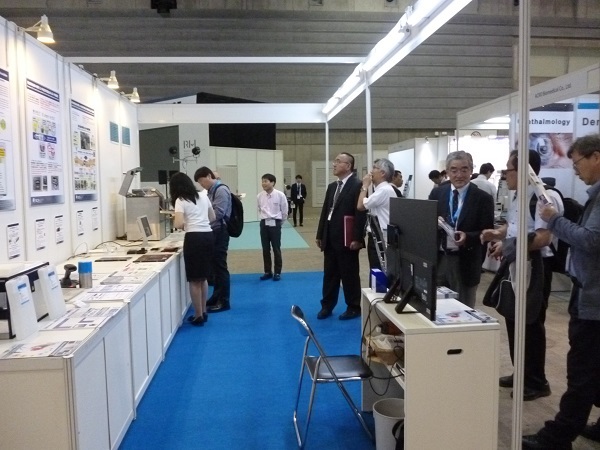 Many people visited the SCA booth and attended the seminar. On September 27, 2017, the FY2017 PS/PO Meeting took place at AMED. Organized in lieu of the administrative meeting up to last fiscal year, the PS/PO Hearing was held to receive comments and suggestions from program supervisor /program officer Dr. Nakahata and from external evaluation committee members etc. on the activities of the “Development of Cell Manufacturing and Processing Systems for Regenerative Medicine” project commissioned to the Association. Sub-project leaders Drs. Kino-oka and Nakatsuji gave an interim report on the progress, results to date, and upcoming schedule etc. of the project, followed by a vigorous Q&A session and many recommendations and suggestions. 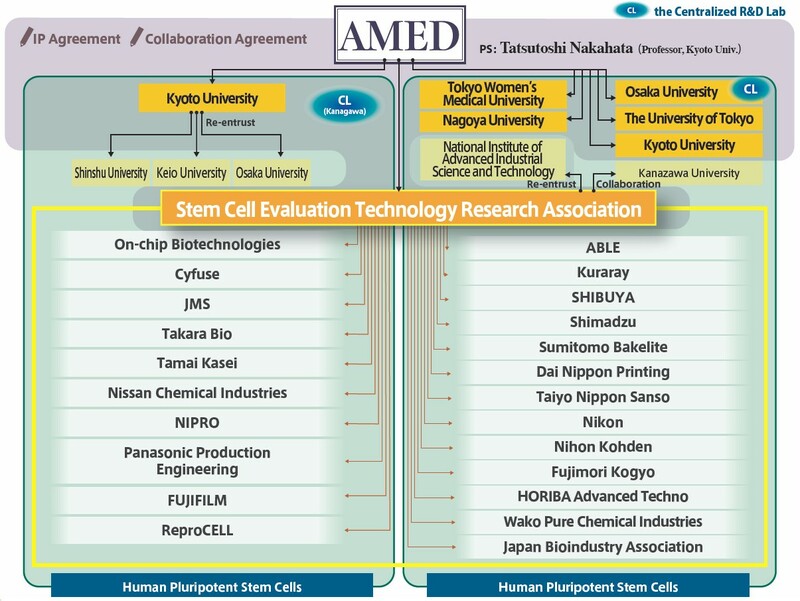 After an overview of the research, facilities, and equipment, Director Uemura asked numerous questions and gave many comments, further deepening his understanding of the endeavors and realities of our R&D front lines. On Friday, July 21, 2017, in the Kawadacho Office of the Ogino Memorial Laboratory, Nihon Kohden Corporation, the SCA’s first Technical Lecture and Researchers’ Forum was concluded successfully. At the Researchers’ Forum, there was an introduction to the project -related public technology seeds of the SCA member companies . The next session is scheduled for Friday, October 27. 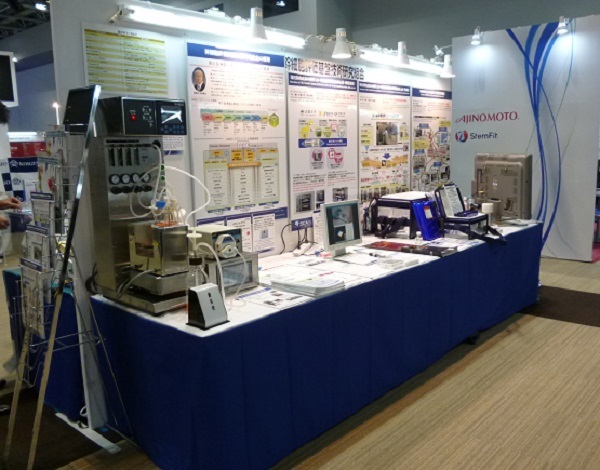 SCA exhibited panels and products at the 16th Congress of the Japanese Society for Regenerative Medicine held at the Sendai International Center during March 7 to 9, 2017. This is the second time for SCA to run booth at the Congress of the Japanese Society for Regenerative Medicine, first being at the 15th Congress at the Osaka International Convention Center. R&D products of the project were exhibited. Many people from medical institutions, academia and companies visited the SCA booth and exchanged information. It provided a good opportunity for collecting the needs of users. SCA will exhibit panels and products at the 16th Congress of the Japanese Society for Regenerative Medicine held at the Sendai International Center during March 7 to 9, 2017. R&D products of the project will be exhibited. We would like to express our sincere appreciation for your support and encouragement you gave to SCA last year. The project of industrialization of regenerative medicine is going well for almost three years.